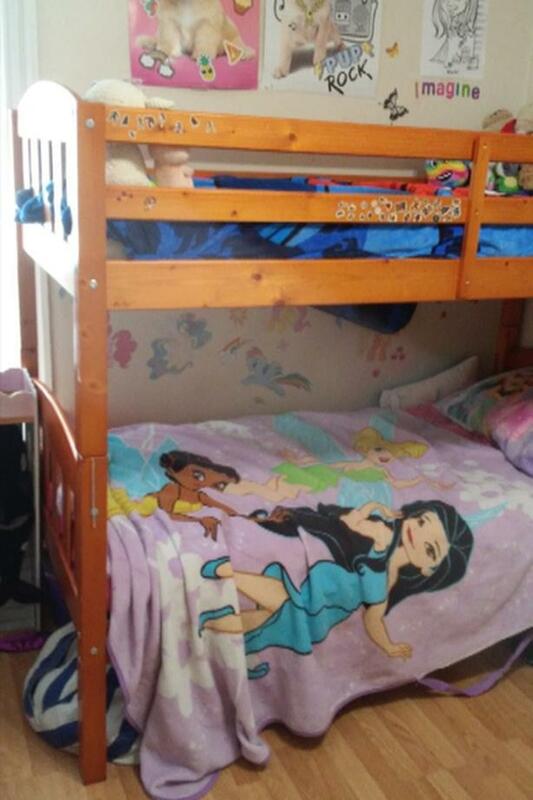 5 year old bunk beds. Solid wood great condition. 2 spring coiled high end mattresses excellent condition always had mattress covers on them. If interested also have 3 sets of bedding, tinkerbell, Disney princesses, and spider man.